President Trump recently broached the subject of a gold standard for America’s monetary system, which is significant, because no recent president has done so, and the idea has been denigrated by central bankers, politicians, and other popular influencers as a “barbarous relic.” Such a standard, however, would be different from most caricatures made of it. The monetary regime we have in place now is a fiat money system, “fiat” meaning simply a command or decree. In its essence, it is money created because government has decreed it into existence. Though it was previously linked to gold, it is now simply paper or electronic accounting entries. The dollar now has value as a money simply because it is widely accepted as a medium of exchange, but that is only so because competing currencies have been outlawed by legal tender laws. The Federal Reserve Bank buys things, such as government bonds, by creating billions of dollars out of nothing but accounting entries, quite literally. The creation of such new money devalues the existing money, meaning that the cost of living goes up, even while increasing productivity should be driving costs down. The justification for this is that the money supply will be highly flexible to deal with changing economic conditions. An obvious example is the “quantitative easing” during the last recession, where the Fed purchased multiple trillions of dollars' worth of assets, both government and private, injecting that much new money into the economy. Some people credit that move with “saving the economy,” while keeping consumer prices fairly stable. Though the Fed can inflate the supply of money, however, it cannot dictate what consumers, banks, investors, manufacturers, and all other users do with it. Rather than a rapid recovery as expected, it was the slowest and longest since the Great Depression. While consumer price inflation has remained fairly tame, the same cannot be said for all of the other uses of money: stocks, bonds, derivatives, real estate, and so on. Price inflation in those areas has been tremendous. We are now again in dangerous bubble territory in many markets, primarily because of Fed monetary policy. Gold has been widely used as money for much of human history. It has unique characteristics that make it especially useful for that purpose. It has a very low chemical reactivity, meaning that it does not rust or decompose. Other than that which has been lost, on sunken Spanish sailing ships or otherwise, almost all of the gold that has been extracted and processed through the millennia of human civilization still exists today. The amount of new gold that is mined and processed is a small, fairly consistent percentage of the large present stock, and the total quantity available is relatively stable. It can’t be artificially inflated. A gold standard does not mean going back to the old days when physical gold was exchanged for goods. 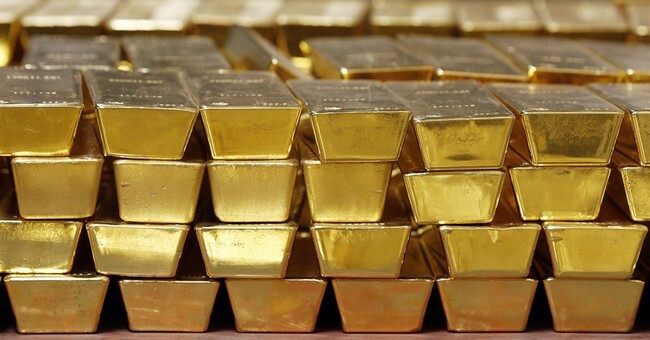 It means only that there would be some link between money and physical gold, such as the ability to redeem a specific money unit for a specific weight of gold. This would prevent artificial inflation of the money and the resulting price inflation, another word for devaluation of the currency. The flexible money supply does not give monetary officials the ability to prevent economic crisis. It actually gives them the ability to create credit and asset bubbles, with the inevitable crashes that result. Though it might result in some difficulty in the transition, taking away that flexibility would likely be a very good thing. Limiting the ability of monetary authorities to manipulate the money, whether by a link to gold or by some other method, would prevent them from creating the conditions that do so much damage and steal prosperity through devaluation.